Tamron, which manufactures third party lenses for a wide range of cameras, has announced that is to build a new lens factory ahead of predicted growth in the interchangeable lens market. According to a report which appeared in the Japanese magazine Photo Trade Express, Mario Ono the firm's president said that the company was planning to launch many new models, to include lenses for APS-C sized cameras. New Micro Four Thirds lenses are also expected to be produced in the next five years. Tamron only joined the Micro Four Thirds alliance back in January, and is yet to produce any optics for the format. 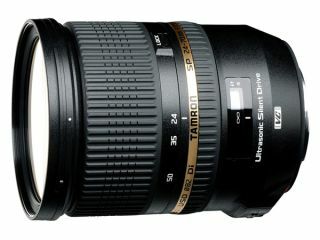 Tamron, which is a Japanese company, currently has three factories in Japan and one in China. A new factory is currently under construction in Vietnam, which is apparently capable of lower production costs than in Thailand, where many other companies have set up factories. It's also been reported that the factory has been built on 'steady ground', and is unlikely to be at risk of flooding. Last year, the effect of the floods in Thailand left some companies devastated, pushing back camera release dates and affecting the production cycles of companies including Sony and Nikon.